Understanding not only what we think about, but how we think about it in relation to the issues we face is important if we are derive strategies that take the complexity of human systems into account. Teaching for thinking and not for knowledge in itself requires different thinking and acting. The question is: Are we ready and willing to do this? Most people love change so long as they don’t have to do anything different. Hopefully, our health and research systems are different. And if not, how can we inspire the thinking to make them so? Novelty, innovation and doing things differently are seen as the key to competitive advantage and scientific discovery. How we think is as important as what we do and use of the term thinking might be one of the most valued things we do of them all. People trained in the humanities who study Shakespeare’s poetry, or Cezanne’s paintings, say, have learned to play with big concepts, and to apply new ways of thinking to difficult problems that can’t be analyzed in conventional ways. Ouch. That has to sting for those who just spent $80K on an MBA to get to the C-suite. But this is not just about business, it extends to a lot of sectors, including health. The focus — almost tyranny — of evidence in health systems has created the same kind of mindset that we see in the scenario described above and the absence of “what if” thinking. Evidence, as it is distilled and presented in the health sector, tends be used to guide actions based on what has happened on the past, not the future. In many cases this is perfectly reasonable and, indeed, ideal (life saving even! ), yet evidence can be used as a blunt instrument in areas where precision and learning from the past do not apply. Much of health policy and public health fall into this realm. What Checkland suggests is that we can create systematic ways of knowing about the complexity around us and that is what (soft) systems thinking is about. Another way of looking at these problems is using the Cynefin Framework, which illustrates areas where hard systems thinking might prove useful and where a “softer” (to use Checkland’s terms) might be more appropriate. But neither of these particular models are useful without the shift in thinking outright. Until one starts to see systems, to acknowledge complexity, and to devise ways of organizing that recognize both of these in the way in which knowledge is produced, curated, translated and integrated this is a moot point. Further, until one considers applying such thinking consciously and with in intent to shape the world around us, which I would describe as (partly) design thinking , we will continue to use evidence, the past, and the wrong questions to get the answers we look for (not the answers we want) in addressing health-related challenges and issues. Teach thinking. 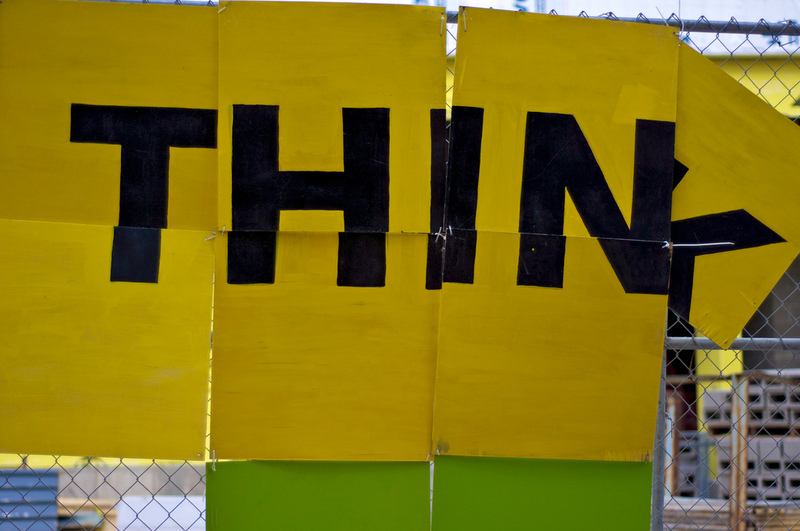 We rarely get taught how to think in school, just what to think and why to think about it. The two are very different. Include systems and design thinking in courses aimed at training people who work in areas of complexity. Whether it is in formal school settings or continuing education environments, don’t assume that people know about these thinking approaches or that they will pick them up quickly. The non-linear, highly contextualized nature of complex systems and the strategies used to navigate through them are difficult for most people trained in the Western scientific tradition. Yet, the rewards are great for those willing to persevere. Take the boundaries of discipline and their points of confluence seriously. While a “hot topic”, transdisciplinarity — working at the intersection of disciplines, not just at the margin of them, is important. Understanding where you come from — in terms of training, experience, life philosophy — helps place you within a system of enquiry and enables you to see boundaries. Too often we fail to acknowledge boundaries at all, assuming that evidence is universal and understood across settings and contexts, which isn’t true. Build in diversity..and support it. Humanities scholars and engineers working together? Why not. However, throwing people together isn’t the same as nurturing an environment where diversity is respected. Scott Page’s work on diversity and complexity has looked at the dialogical nature of this relationship and how one feeds the other. Creating — designing — environments that bring the best of diversity out is something that requires much attention and brings many rewards. Thinking is a participatory sport.Although thinking is most often considered a solitary, cognitive activity, support for teams and wide engagement with thinking-related materials and methods is the way to support true integration of knowledge and learning. It is one thing to think of systems, it is another to really experience them. One strategy I’ve tried with some success is to have systems learners use photographs or videos or other arts to capture the tacit and everyday expressions of systems in their lives. When learners go beyond what the evidence tells them, see systems for themselves, and share that with others they are better able to point to spaces where new thinking can generate innovations and how what is known matches with what is possible. Creative Intelligence or Design Thinking?